So. About two weeks ago, I got riled up about Nazis and I wrote a Twitter thread. Maybe you saw it. 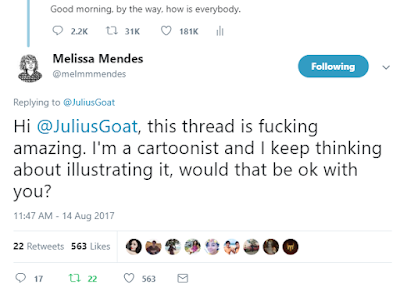 Not long after, I received this tweet, from an awesome cartoonist named Melissa Mendes. Here's what it said. 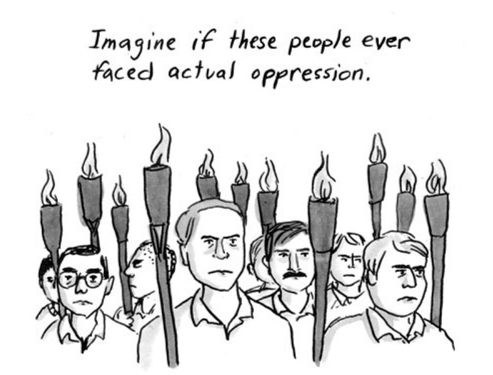 A cartoon of my tweet thread? How cool is that? That was more than OK with me. It was spectacular with me. Then she hit upon a great idea. 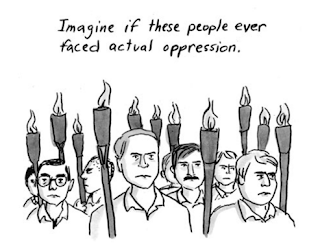 What if she made a PDF and made it available for however much you wanted to pay, and what if all the proceeds went to the Southern Poverty Law Center? So she did all that, and now it's done. I have it here small, but you really have to go to her Patreon to see it embiggened and beautiful. This is amazing good "food for thought" - and good reason to re-examine one's actions! 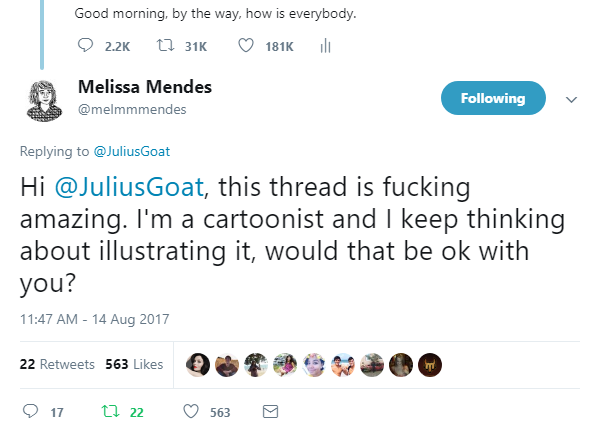 Thank you, Julius Goat!